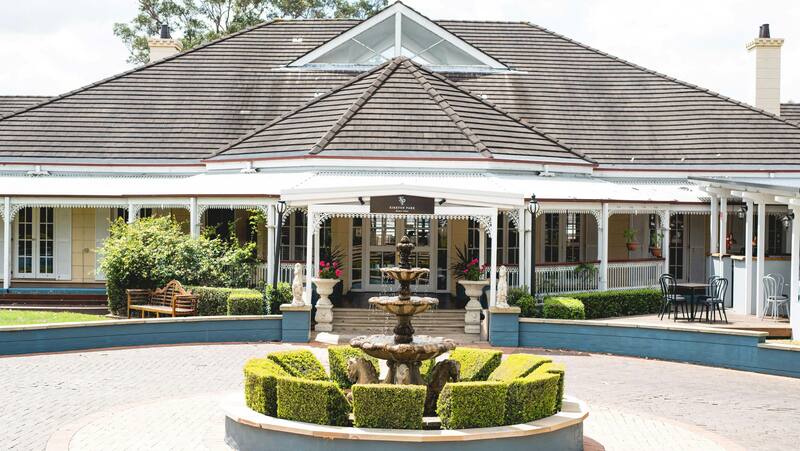 Enjoy the ultimate summer staycation at Kirkton Park Hunter Valley! 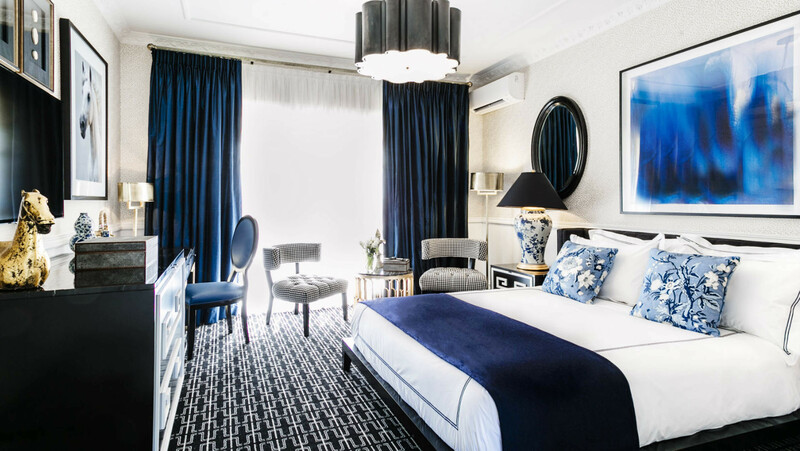 The acclaimed boutique hotel is located in the heart of Pokolbin, only minutes away from the region's most popular attractions and wineries and is ideal for a girls trip, much-awaited family holiday, weekend getaway or surprise romantic escape! Surrounded by 70 acres of rural surroundings, including manicured gardens, a wholesome vegetable garden, chickens, pigs and picturesque walking trails, Kirkton Park is one of the Hunter Valley's hottest summer destinations! 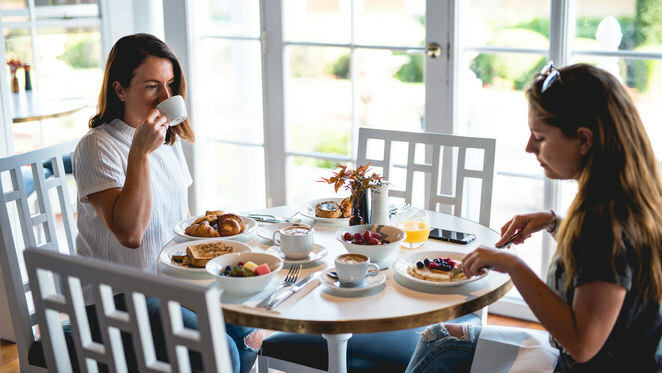 Check out our Hunter Valley bucket list below and start planning your spectacular summer staycation today! Discover a Summer of possibilities in the Hunter Valley. Accommodation rates from $149* across selected dates in January when you book in advance. Click here to find out more. 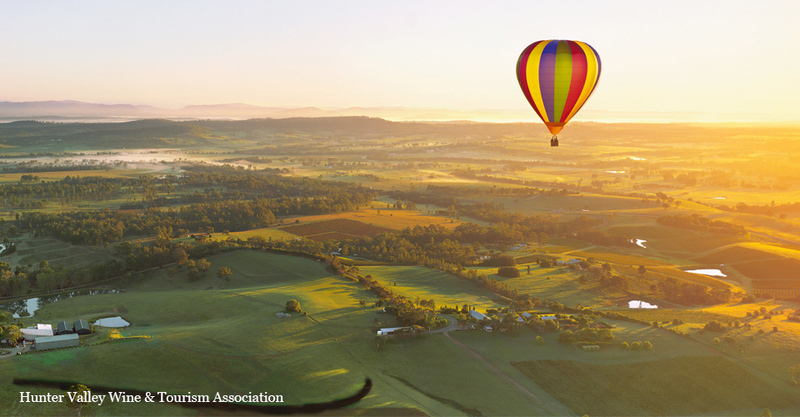 Start your morning early and catch a magnificent sunrise from the basket of a hot air balloon. There's no better way to experience the enchanting scenery of the Hunter Valley with your loved ones or friends. Cheese lovers can indulge in preservative-free cow and goats milk cheese at the Hunter Valley Cheese Company's fully operating factory. The cheese tasting can continue at Binnorie Dairy, which is renown for its flagship marinated fetta, while Hunter Valley Smelly Cheese Shop offers old-style crafted cheeses. Complete your culinary journey with some cheesy treats from Two Fat Blokes Gourmet Kitchen. Enjoy the Hunter Valley's beautiful landscapes from the vantage point of a helicopter. Then when you are back on land, you can wine and dine at one of the region's many fine dining restaurants. The Hunter Valley is home to an abundance of locally produced gourmet food and on the first Saturday of each month, Tyrrell's Vineyard hosts a fine food market showcasing the very best produce from around the region. Taste and purchase farm fresh produce, boutique cheese, freshly baked bread, jam, preserves, olive oil, eggs, cured meats and sweet treats. 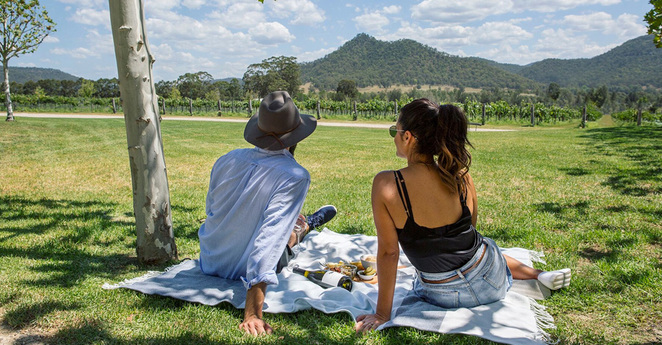 Visit one of the Hunter Valley's reputable wineries and sit among the very vines that have produced your wine of choice! Don't forget to bring along your delicious picnic spread made up of local gourmet treats! Tamburlaine Wines is one of the largest producers of organic wines in Australia and this unique experience pairs their award-winning, preservative-free wines with Australia's own Pana Chocolate. This rich combination takes indulgence to another level making it a must-do when visiting the region. Each Summer, the Hunter Valley attracts award-winning local artists and legendary international stars. From intimate performances in a winery to large festival style concerts, there is sure to be a live music event that takes your fancy! You really can't pass up the opportunity to watch your favourite artist whilst being immersed in such a unique atmosphere overseeing the valley. The creators of the Hunter Valley Smelly Cheese shop are not just experts in cheese, but brilliant gelato connoisseurs as well! Smelly's gelato bar has a recipe book of more than 200 flavours! All their gelato is made fresh on site and there are plenty of alternatives for the dairy-free folk! Kirkton Park has selected 8 activities which will keep you entertained during your stay - and you won't even need to leave the property! Click here to find out more. If you are planning a family trip, make sure to check out the Kids Club!